The best part of summer to me is having evenings and weekends with friends for spontaneous casual dinners. 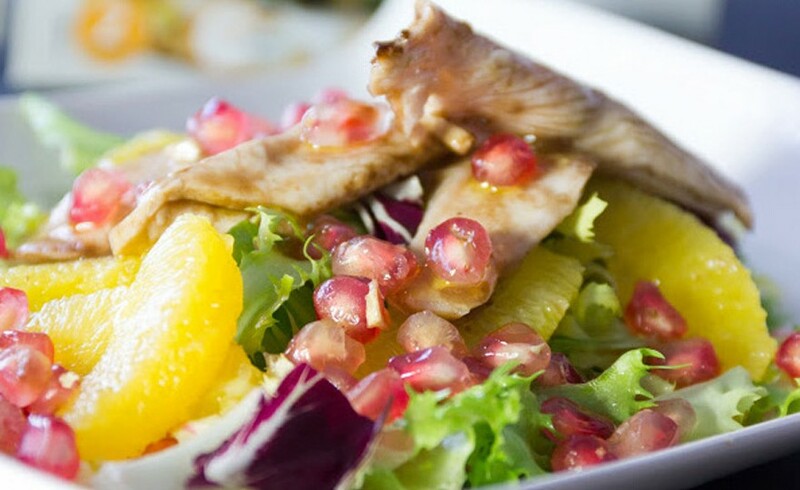 This colorful Chicken Salad with Pomegranate and Orange recipe from Garlic & Parsley’s is fresh, easy, and pretty, and tops our list of go-to recipes for summer meals. Enjoy! Combine all ingredients above loosely, drizzle with olive oil, season with salt & pepper ~ how easy!